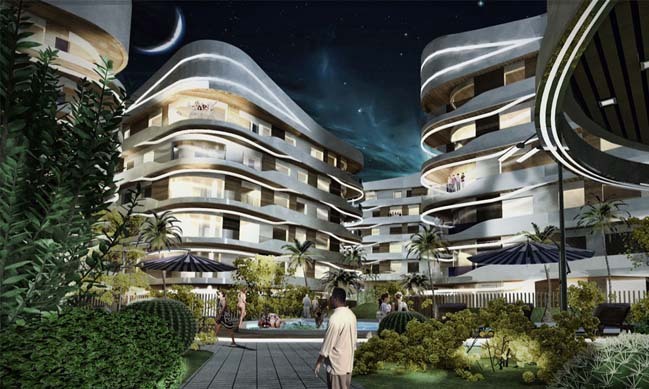 Hammamet is a luxury complex located directly on the waterfront in one of the most beautiful tourist places in Tunisia. 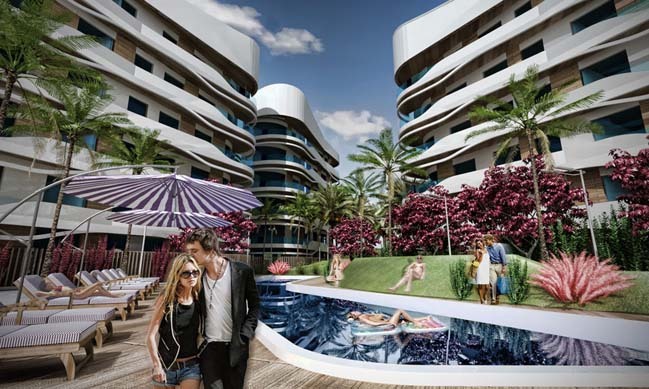 DNA Barcelona Architects won this project through an invited competition, where we proposes a design at a range of scale: from the masterplan of the area, the architecture, the landscaping, to the interior design. 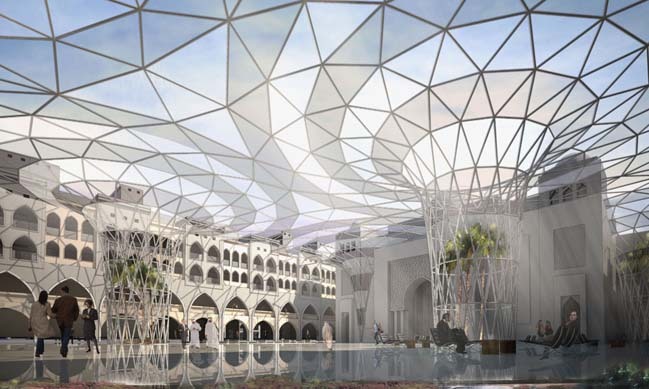 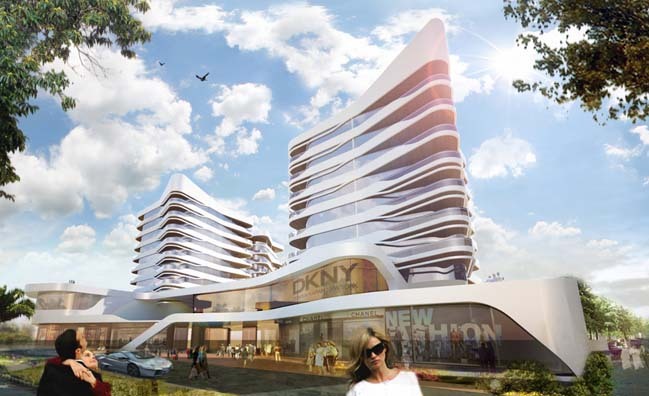 Project's description: Touristic Complex Hammamet is a winning design inspired by the avant-garde style, featuring amorphous curves on the façade and organic curves in the masterplan and also in a variety of elements. 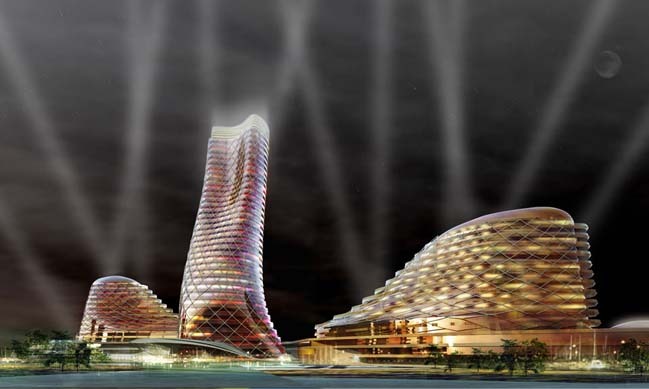 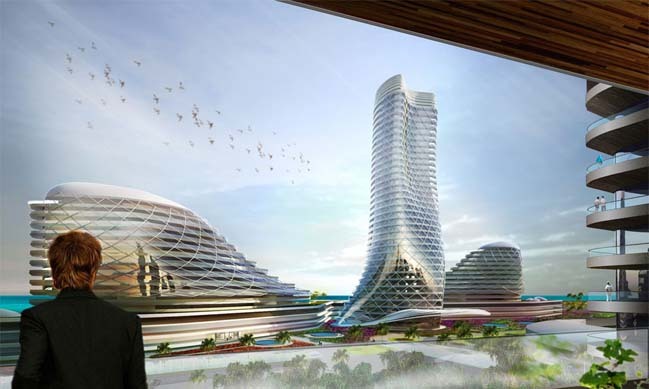 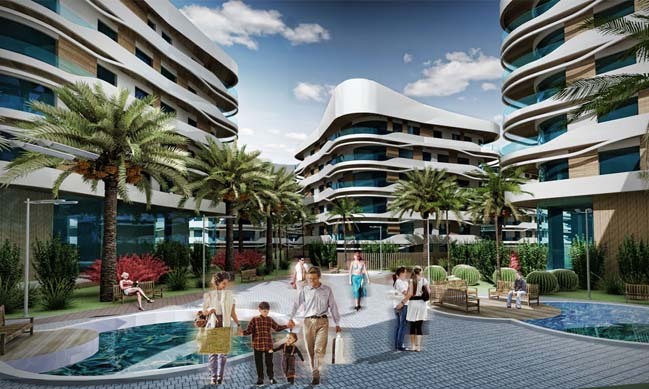 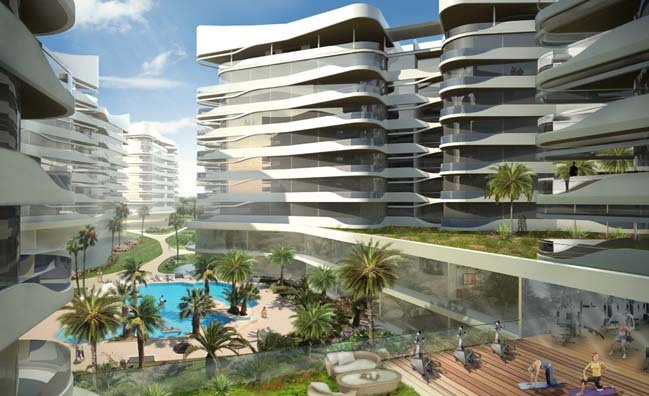 The project consists of 30 residential blocks with communal gardens, shopping mall, a wide array of bars and restaurants, an aquarium, and a large-scale luxury hotel located next to the beach. 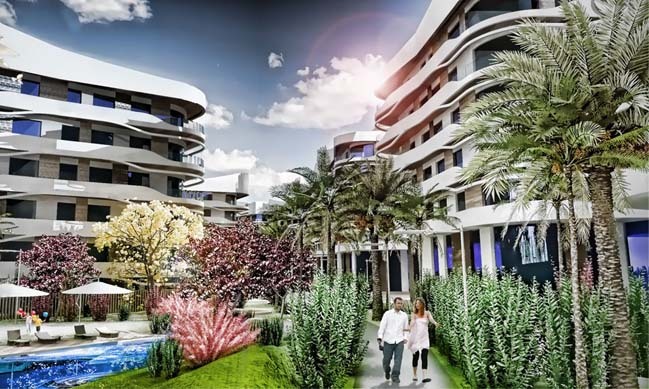 From its eminent position on the seafront, Hammamet is designed for stylish living, where comfort and technology have aesthetic overtones. 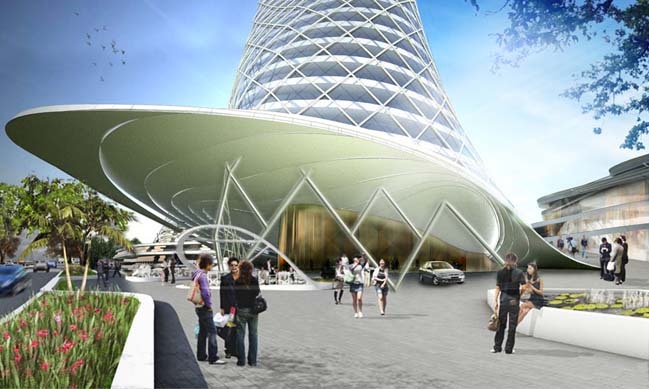 From the outside, its architectural beauty establishes its contemporary elegance.